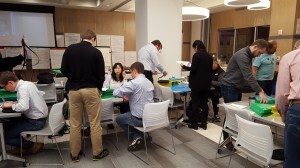 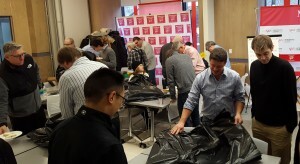 Finally the day of the build arrived, and the participants split up into teams and began to unwrap their individual packets of materials. 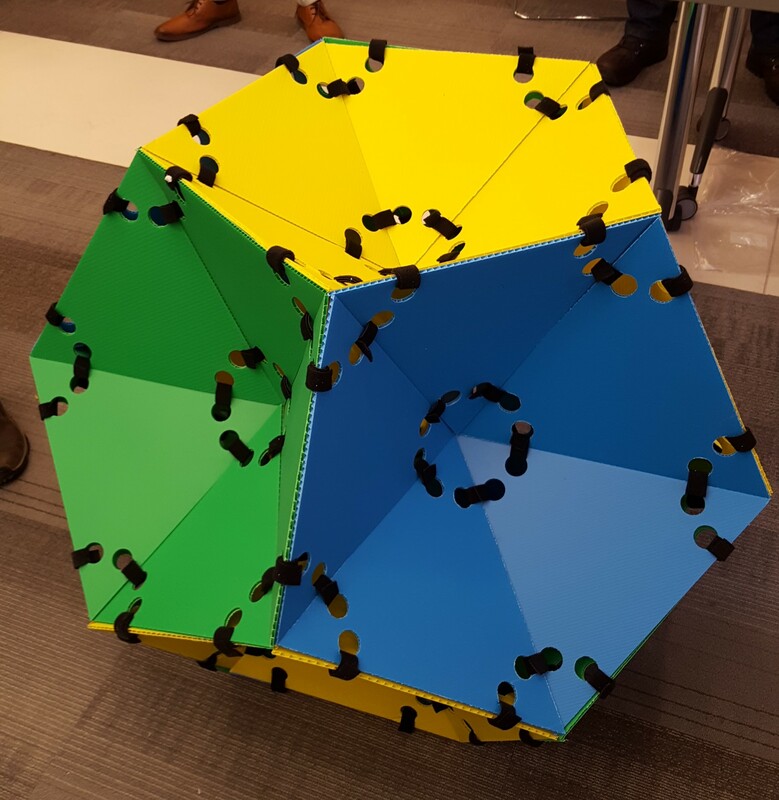 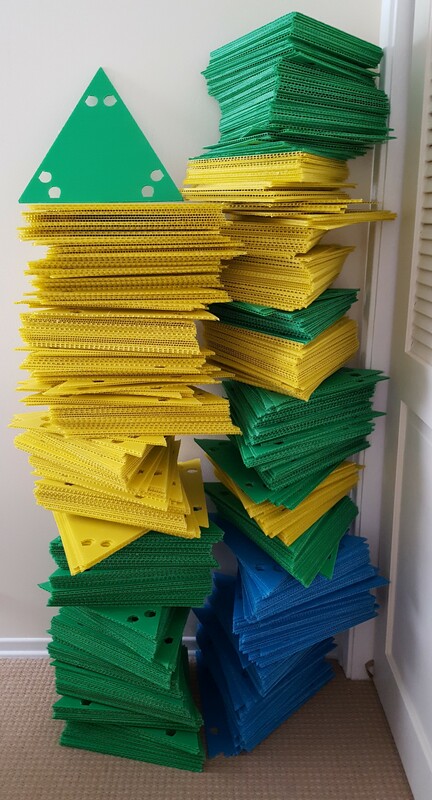 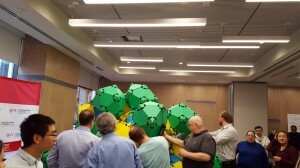 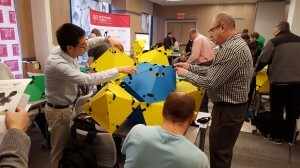 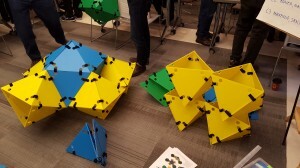 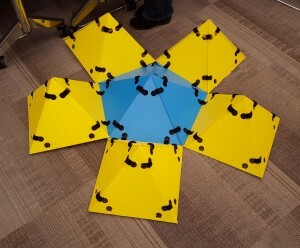 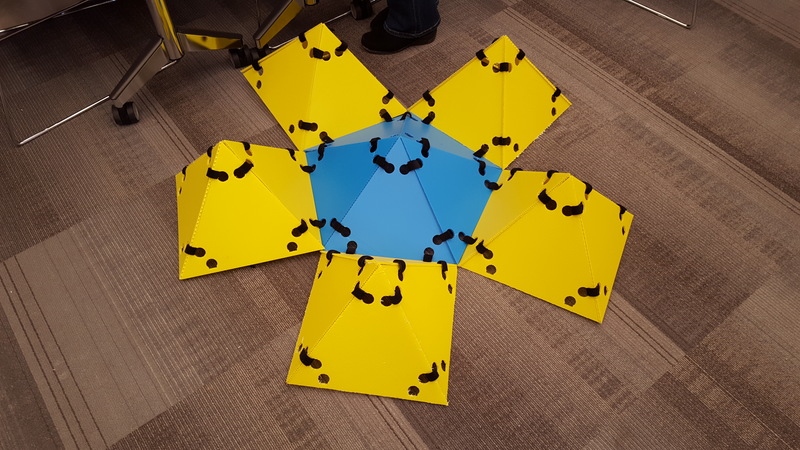 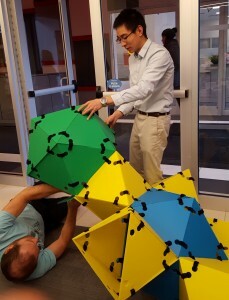 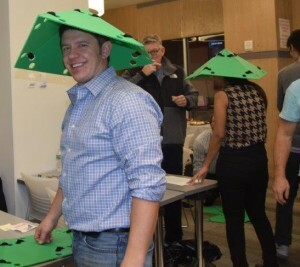 We had settled on twelve teams, so that each team would be constructing one of the blue icosahedra, and either one or two of the green icosahedra (with holes to connect to other modules). 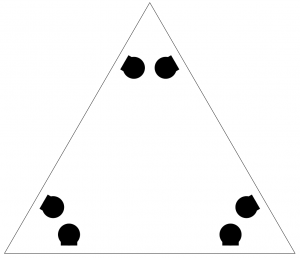 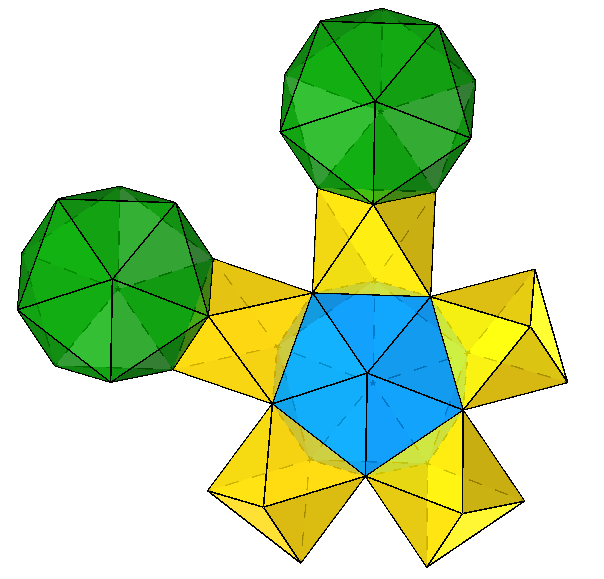 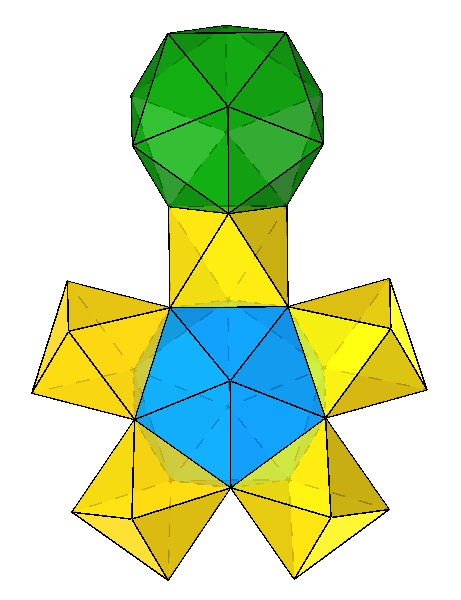 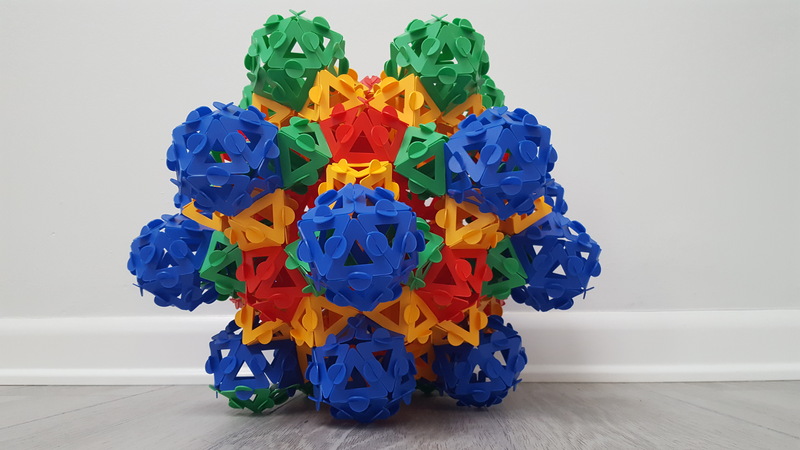 In fact, it turns out that the full excavated dodecahedron can be broken up into four copies of each of the following three pieces (I’ll let you figure out how on your own). 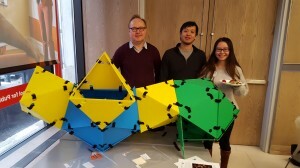 As you can see, it’s not quite ten feet tall, as time limitations prevented the completion of all necessary connections, leading to some internal buckling of the structure. 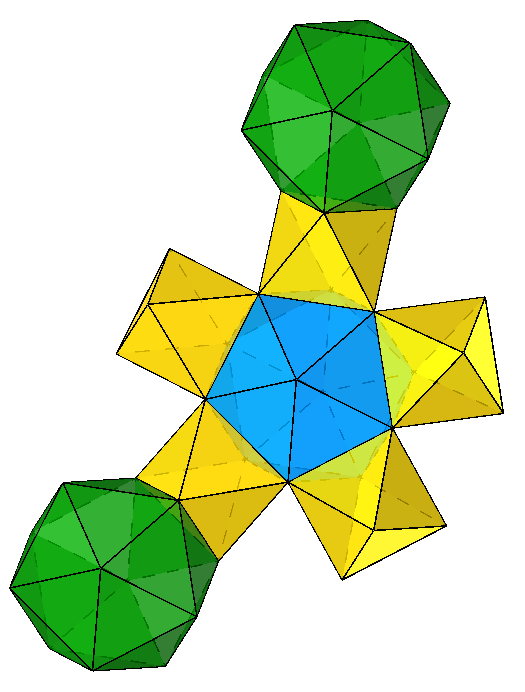 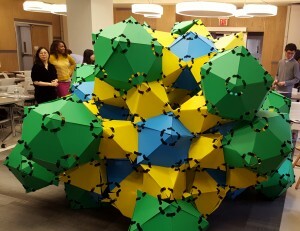 But a good time was had by all, and you can clearly see the five-fold connectedness of the excavated dodecahedral structure. 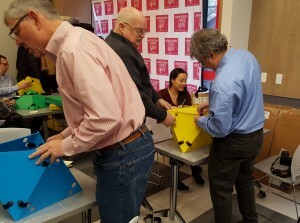 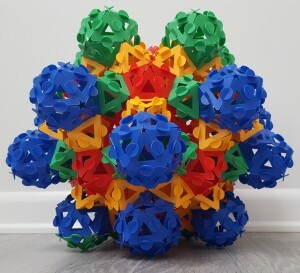 If you’d like to try building some polyhedra, you can cut copies of the pattern (scaled down, presumably) out of stiff paper and connect them with twist ties (for example) — send a picture to mondays@momath.org if you do!